Another nice day for me! It started with Gene riding in with me to work, which always lifts my mood. 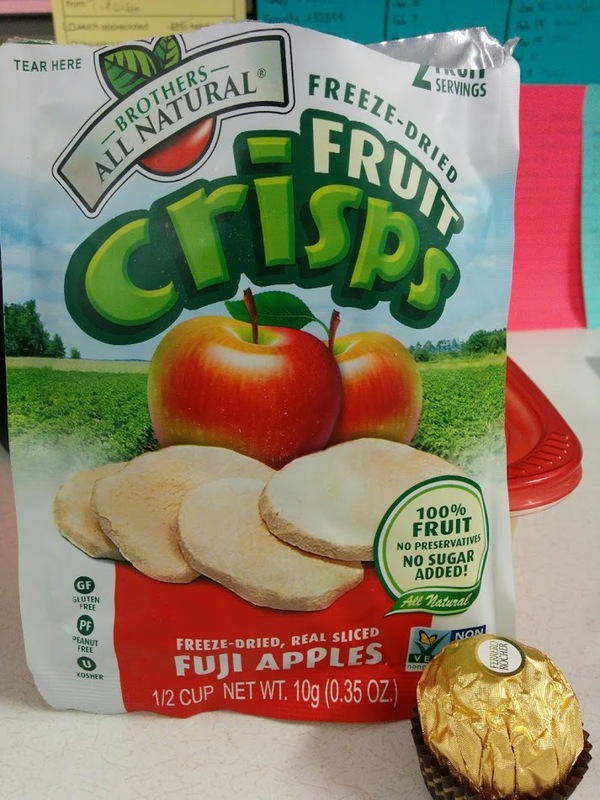 I then had delicious apple snacks (thanks parents! ), ate a ferrero rocher that a coworker brought in, and was treated to a Jimmy John’s sandwich for lunch. More teammates noticed my glasses and made very nice comments. I then drove back home with Gene in the car as snow wafted in the air. It’s been predicted to snow anywhere between 3 to 10 inches of snow from this afternoon to tomorrow morning. I’m happy that I’m safely back at home and went grocery shopping yesterday.